I think it would not be an exaggeration if to say that human history and milk history are inextricably linked. Milk is a product which we consume from the beginning of our life. Let’s consider how to buy milk to obtain the maximum health benefits from its consumption. 1. Type of milk depending on the type of thermal treatment. 4. The presence of additional properties. Let’s start with the scientific definition. Milk is a nutritious liquid that produced by mammary glands of female mammals. We all know what this product is and how it is consumed in practice. Milk is different in different mammals, so let’s pay our attention to the most common of its kind, namely to cow’s milk. Chemical composition of cow’s milk includes water (85-89%), fat (2,8-4%), proteins (2,7-3,8%), carbohydrates (4,4-5%), 50 minerals (including calcium, phosphorus, potassium, iron, phosphorus, iodine, etc. ), as well as vitamins and other substances. Consider the characteristics that you need to pay attention when buying milk. Technology of milk production provides the following types of milk in this parameter: pasteurized, ultra pasteurized, sterilized and melted milk. A pasteurized milk is obtained by heating raw milk to a temperature of 63-70 degrees at the time up to 30 minutes. Most of harmful bacteria are killed and most of nutrients elements are saved as a result of pasteurization. Pasteurized milk is closest in characteristics to freshly rural milk. An ultra pasteurized milk is obtained after heating to a temperature of 125-130 degrees for 3-5 seconds. Ultra pasteurization helps to destroy almost all harmful bacteria and to preserve the maximum of milk nutrients. We can assume that ultra pasteurized milk is the best choice in the ratio of usefulness/degree of thermal treatment. A sterilized milk (UHT milk) is milk, which is heated to 115-120 degrees for 15-30 minutes or to 130-150 degrees for 3-5 seconds. It is clear that under these temperatures all “bad” bacteria are killed, but honestly speaking, much of the useful elements are decomposed too. 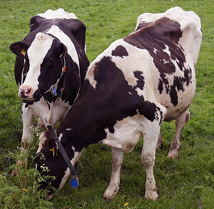 The quality of milk after sterilization remains at an acceptable level. Technology of preparation of a melted milk envisages its heating to a temperature of 85-100 degrees for 3-4 hours. Milk gets a specific color and taste after such treatment. Shelf life depends on the type of milk heat treatment. For example, the shelf life of pasteurized milk may be around 3-5 days, while the shelf life of UHT milk may be 3 months or more. More “natural” milk has a smaller shelf life. Milk is often sold in bottles (glass and plastic), cardboard boxes, plastic bags of various shapes and sizes. Packing should be convenient and reliable. Some manufacturers produce “special” types of milk, such as a fortified milk (characterized by a high content of vitamins) or a iodized milk (fortified with iodine). Such products can be recommended for children and people who need a higher level of vitaminization. Announcement of the additional properties can be just a marketing ploy sometimes, because it depends on the price of milk. So, we hope that after reading the above information, you can orient yourself, which natural tasty milk is better to make the right purchase.